Home Articles YouTube Changes Content ID, Is It Enough? YouTube Changes Content ID, Is It Enough? On Tuesday, I wrote about how, even though I was a fan of Content ID in principle, I felt that the system had gotten out of control and that it was time for a Content ID intervention. Apparently though, the issue wasn’t just on my mind. The next day, YouTube announced that it was making some major changes to Content ID in hopes of addressing many of the concerns and frustrations people have had with the Content ID system, myself included. The changes have already been receiving some rave reviewssabwsvqqtwvuuz but are they enough to really fix Content ID? The only way to find out is to dig deeper into what is changing and why. In it’s blog post, YouTube outlined two major changes that its making to Content ID. New Appeals Process: Qualified users will be able to appeal Content ID matches of all types, including monetization claims. In those cases, the claimant will have the choice of either filing a full DMCA takedown notice or dropping the claim. Better Detection of Unintended Claims: Also, the algorithm has been updated to improve detection of false claims and set those claims aside for manual review rather than automatically taking action on those videos. Specifically designed to spot cases where works not owned by a rightsholder appears in a reference file. 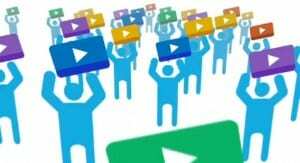 Youtube also said that it had made significant improvements in its matching technology earlier this year and that it is continuing to make incremental improvements as it goes along. But with so many uploaders complaining about Content ID and such major recent disasters as the Democratic National Convention and the Mars Rover Landing, the question remains, is this enough? In my previous post, I outlined five changes that YouTube needed to make to fix Content ID. YouTube’s blog post was definitely an admission of the problems with Content ID. So that step is complete. That being said, it would still be nice if the admission of possible error were more pervasive, such as in their notifications of Content ID matches. YouTube also directly addressed the lack of an effective appeals process. Though it seems to be a bit of an odd way to handle the problem, using the DMCA to offer an appeal to an internal process, it’s an effective and fair approach. Basically, it makes it so that a user can appeal a Content ID match but, if they do and are wrong, the penalties are much more severe, namely a full DMCA notice and a copyright strike. Also, restricting their appeals users in good copyright standing with verified account will reduce any potential abuse of this appeals process. That being said, is raises questions about non-qualified users who are subject to bad Content ID matches. Next, while there was no mention of a whitelist, YouTube seems to be achieving the same function by trying to sort out false matches with its algorithm and better detecting “unintended” matches. If YouTube can achieve this, then a whitelist is much less important. However, that’s something we’ll have to wait and see how it pans out. Finally, there’s no mention of improved transparency or fair use protections. Without good transparency, there’s no way to know if and how these changes affect or improve Content ID. Also, though fair use protections could be built into it’s improved detection, it wasn’t mentioned and the lack of fair use protection still makes YouTube a hostile place for reviewers and commentators. While it’s true that they can now effectively appeal such determinations, the risk of a full DMCA notice plus a copyright strike still looms and having to send a constant barrage of appeals is not a very welcoming thought to most reviewers. But despite the limitations, what YouTube has done is clearly an improvement. It may not address everything on my “wish list” but it either fully or partially addresses more than half of them. That should go a long way to improving things for YouTubers who just want to make great movies and upload original content. I’ve talked with a few of my friends who upload to YouTube and they are all very happy with the changes. One even successfully used the appeals process to get a video restored that had been blocked unjustly by Content ID for some time. But while there are a lot of questions as to how this will affect YouTube’s users over the long haul, it’s clear that YouTube is taking the issues of bad Content ID matches seriously and is working to address them. So, even if these changes don’t completely fix the problems with Content ID, it does show that YouTube is willing to listen and make adjustments. That’s something that, up until Wednesday, was unclear.